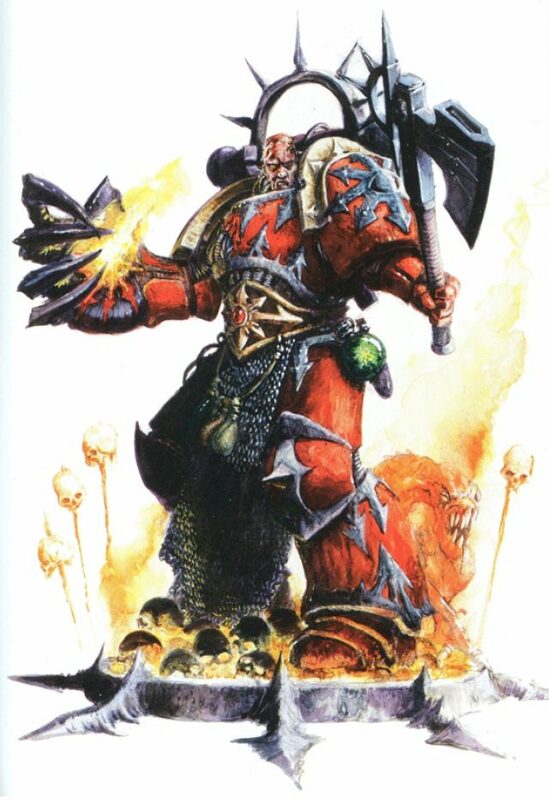 Lufgt Huron, now known as Huron Blackheart or The Blood Reaver, was the Chapter Master of the Astral Claws, a renegade Space Marine chapter which gained notoriety as the piratical Red Corsairs. He was also the ruler of the planet Badab Primaris, which he ruled with an iron fist, earning him the title Tyrant of Badab. Huron and his chapter were assigned to patrol the Maelstrom, an area of warp/real space overlap in Ultima Segmentum. Though an able leader in many respects, Huron lacked the selfless dedication to humanity necessary in an Imperial commander. Huron’s megalomania became apparent as he steadily distanced himself from the Imperium, hoarding planetary tithes for himself. His first overt act of rebellion occurred in 901.M41, when he destroyed an Imperial investigation fleet sent to Badab. Three other chapters joined his rebellion. In what became known as the Badab War, which lasted a little over a decade, several chapters were dispatched to Badab to put down Huron’s rebellion. In 912.M41, in the battle for the Palace of Thorns, Huron was defeated – the right side of his body destroyed by a melta blast from the dying Loyalist Star Phantoms Captain Zhrukal Androcles. With Badab lost, the remaining Astral Claws took their crippled Chapter Master and escaped into the Maelstrom. 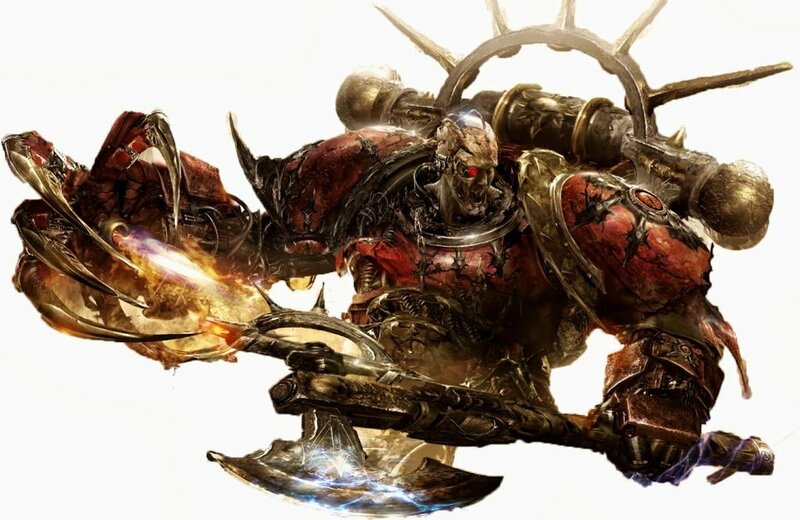 Thanks to Lord Apothecary Garreon and Forge Master Armanneus Valthex, the Tyrant managed to survive his wounds, the Chapter Techmarines completely rebuilding his body. 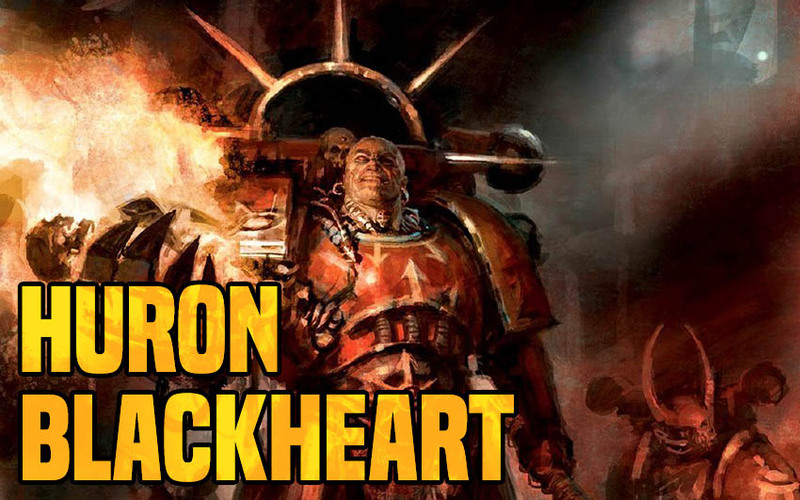 He gave himself the name of “Blackheart”, and renamed his chapter the Red Corsairs. Though weakened, the Red Corsairs remain a threat in the Maelstrom region, attacking Imperial forces and stealing their vessels for use in his ranks. There have also been several instances – such as the battle for the Space Wolves strike cruiser Wolf of Fenris — where Space Marines from loyal chapters will defect and join Huron, boosting the ranks of his Red Corsairs ever more. His ranks boosted by others who have shunned the Emperor, Huron now leads the largest pirate fleet in the eastern Imperium. Later, sometime after the formation of the Great Rift, Huron dueled Typhus of the Death Guard as Warp Storm Fomori engulfed the world of Danasar. Atop the ruins of the Endless Spire, Huron was humbled but Typhus left him alive as a lesson to his might and generosity. By the end of the 41st Millennia, Huron had amassed a sizable force and had become a major player in the galaxy. 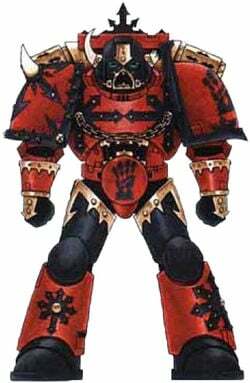 Aided by Fateweaver during the Terran Crusade, Huron’s Red Corsairs were able to capture Roboute Guilliman and his forces on their pilgrimage to Terra. However thanks to the efforts of Cypher, Guilliman and most of the captives were able to escape. Huron is armed with a Power Axe and the Tyrant’s Claw, a monstrous bionic Power Fist with a built-in heavy flamer. He is also accompanied by a semi-intelligent creature of unknown nature, which he calls his Hamadrya. The creature never helps its master directly but instead acts as a familiar, allowing Huron access to certain psychic powers. ~ The cause of Huron’s rebellion is still unknown to this day, but there are many suspicions within the Inquisition.